Would you like to spend more time delighting your customers with the services you provide and less time on essential admin such as taking bookings, managing your finances and updating your website? This unique event is focussed on helping you harness beautifully simple tools to streamline your business and help you grow. Are you a busy salon owner wanting to spend more time with clients and your team? Do you run a beauty salon and feel like you spend too much time on admin? 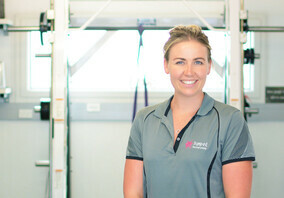 ​Are you a sole operator fitness trainer or massage therapist for whom time on the phone = less income? Having the right tools is all great but are you using them well? At Business in the Clouds we'll focus on best practice to help you get the most out of the tools available to you. We'll introduce you to the essentials of an effective website, we'll show you how to manage your client bookings most effectively and share how to better understand your business finances. 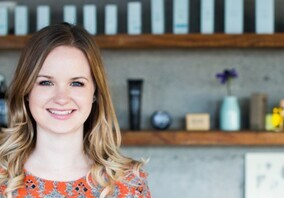 From receiving enquiries on your website, to booking online and managing your salon bookings, through to managing your finances, Rocketspark, Timely and Xero connect to provide a seamless solution for the hair, beauty and wellbeing sectors. If you'd like to get hands on and get help with with your website, online booking or accounting the team will be on hand to provide a practical workshop session from 11.30 - 12.30. Bring along your laptop with your website content, your team schedule and your tricky accounting questions and the team would be delighted to help get you set up. The first 40 people to register to come to Business in the Clouds for Hair, Beauty and Wellbeing will receive a little goodie back with some great treats. Combining the highest quality pure plant ingredients to soothe, soften and condition all skin types, all over, Trilogy Everything Balm is a powerhouse of pawpaw and echinacea, marula, jojoba, olive, avocado, coconut and certified organic rosehip oils, and manuka honey. 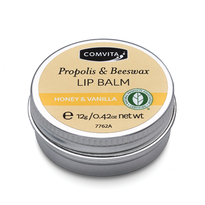 Comvita's lip balms are made from certified natural ingredients which use the power of nature to intensively moisturise and nourish your lips. Beeswax actively draws moisture to the lips, creates a protective barrier to prevent outside irritants and keeps your lips looking luscious. The second ingredient of the highest quality, Propolis, is known as nature's best defence. Fragranced with only the gentlest of essential oils, the lip balm is honey and vanilla scented making every use a delicious smelling treat. Comvita's ethos is to connect people to nature and good health. That's how it all started in 1974. Today Comvita continues that vision by researching and selecting sources of natural ingredients, carefully tending and harvesting them to preserve their purity and powerful healing intelligence. The view alone is worth a visit. Business in the Clouds will take place at the penthouse of New Zealand house which has one of the best 360 degree views in London.